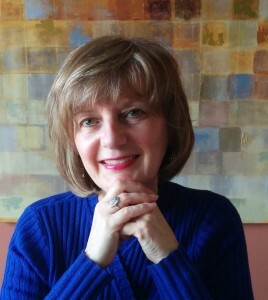 Diane is an Emmy award-winning art director, a painter, musician, and speaker. The Seven Chakra Angels put her back into her body and she consciously made a decision to partner with them. She listened, painted, recorded albums and conducted Energy Attunement Salons internationally. Guy produces our videos, edits, designs and manages media projects. His many years as a documentary filmmaker have taken him from filming open-heart surgery, Native American enterprises, inner-city communities and the opening of Eastern Europe to where he finds himself now, The Angelic Reality. Kristen has worked closely with Diane for many years in healing sessions as a Reiki practitioner. 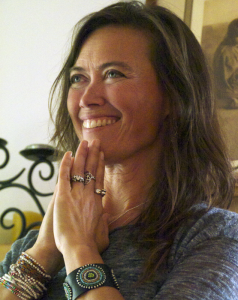 She has performed the Practice of Attunement Dance at Energy Attunement Salons and traveled with Diane around the country and in Peru. As our first Master Reader, Kristen will co-conduct 7-week Reader Certification webinars with Diane. 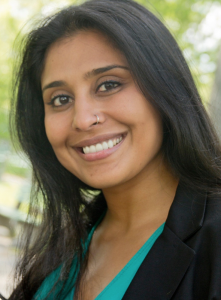 Aditi is an anthropologist & mental health counselor who assists couples and families create healthy and positive lives and relationships. 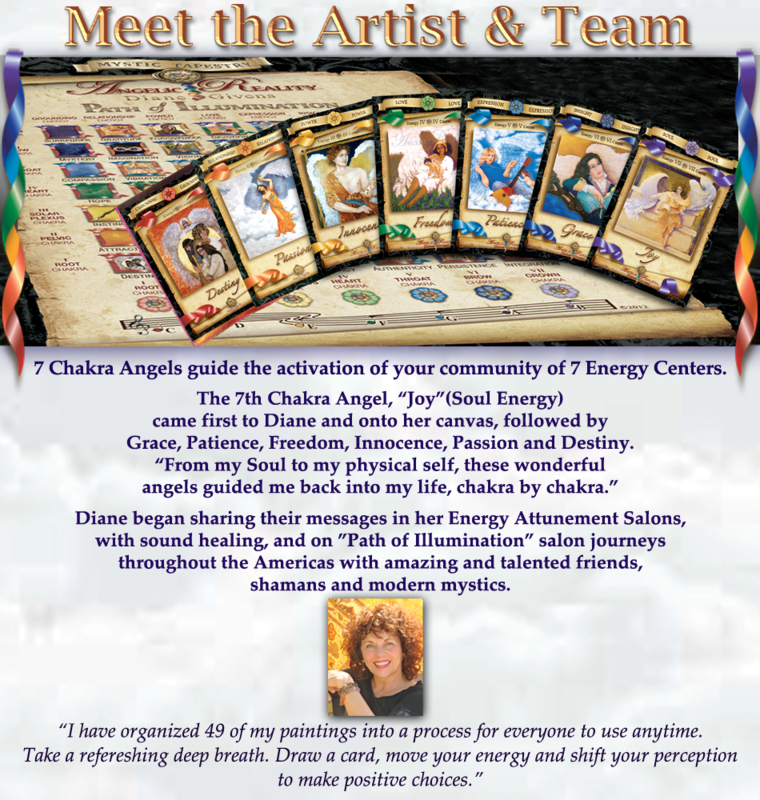 She has worked closely over the years with us developing graphics, advising in print preparation and production to bring Diane’s vision beautifully onto the Mystic Tapestry and Energy Attunement Deck. 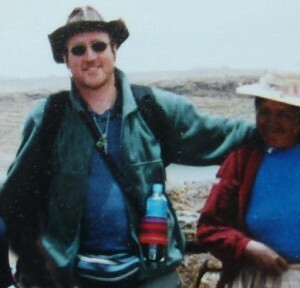 Mark has joined Diane on salons, here and in Peru, over many years of friendship. 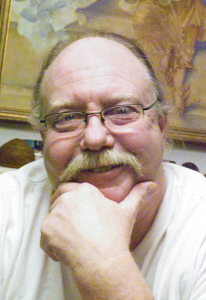 He continues to deliver key help at critical moments to the spiritual community, earning him the moniker "go-to guy". He is energetically involved in spiritual disciplines, teachings and martial arts, as well as professionally problem-solving the most highly sophisticated electrical systems. We're fortunate to have his perspective and contributions." 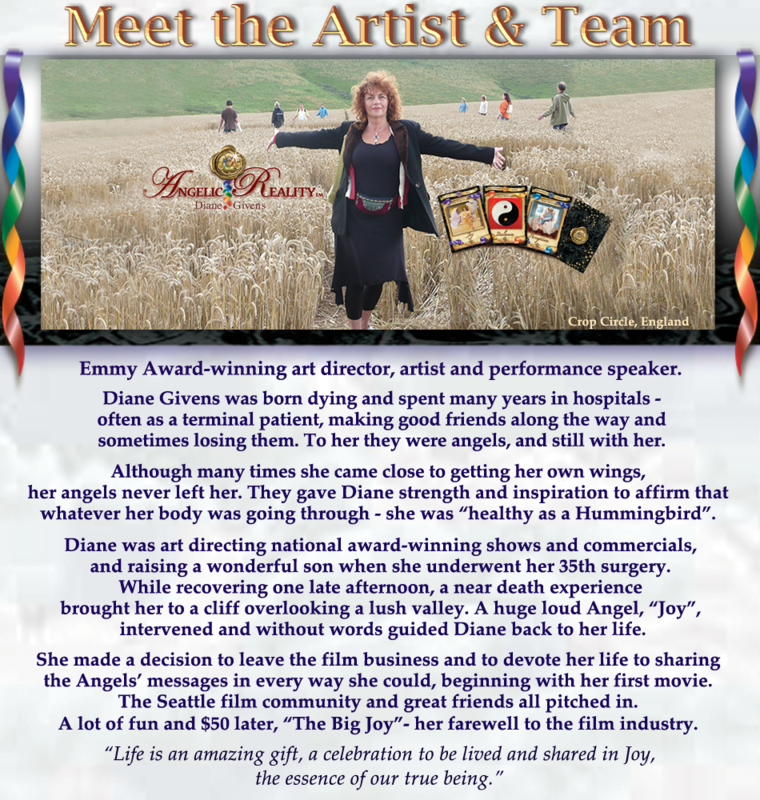 After knowing Bonnie for many years, a fortuitous meeting at Seattle Unity brought our paths together and her remarkable talents to Angelic Reality. Bonnie has extensive experience having worked with Nordstrom, Eddie Bauer and numerous clients in marketing, merchandising, writing, editing and web content management. 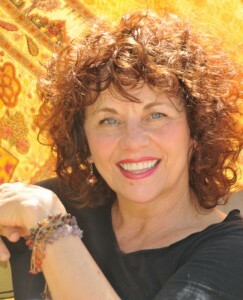 She is a meditation practitioner and spiritual seeker bringing fresh perceptions and humor to our presence. Bill has traveled and partnered with Diane for many years co-facilitating Path of Illumination Salons in Peru and in Seattle. 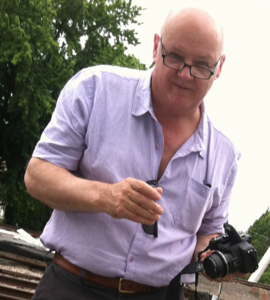 He has captured the spirit of Angelic Reality’s vision on camera as well as with his service to the community whenever he is called on. Bill can be counted on as a friend, co-worker as a father raising his tiny and most adorable twin girls.